Lisa Snyder is a baker and the author of a blog called The Bearfoot Baker. The blog is dedicated to all the wonderful inspiring ideas to make sweet treats for all kinds of occasions and useful tips to decorate cookies. 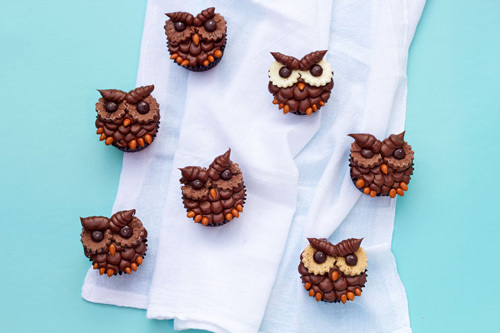 She was recently selected to be a contributor for Martha Stewart and to share with her readers she made these cute owl cupcakes. 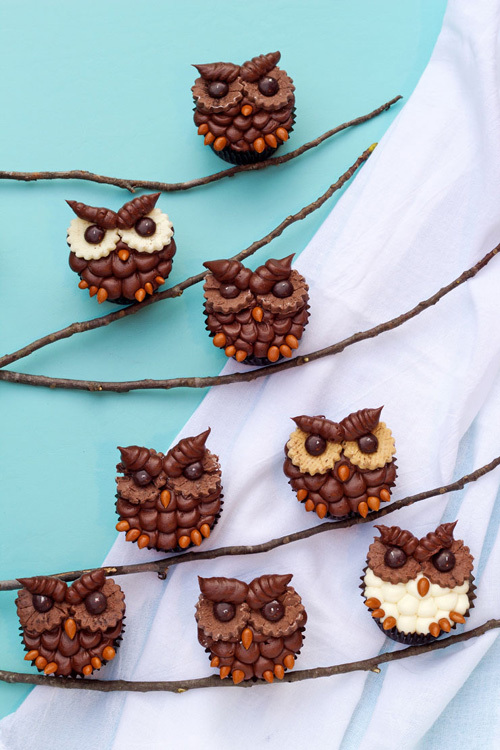 With this easy recipe you can decorate ordinary cupcakes and turn them into cute little owl cupcakes. You can simply start with making a batch of your favorite cupcake and frosting recipe. Then, grab a few other ingredients such a Oreos, M&Ms, and chocolate-covered sunflower seeds to get started. For the entire tutorial with step by step instructions along with a video go here.